If you are one of the thousands of Metrobus riders throughout DC, you will be excited to know that DDOT just added a new way for buses to move through intersections before other traffic. 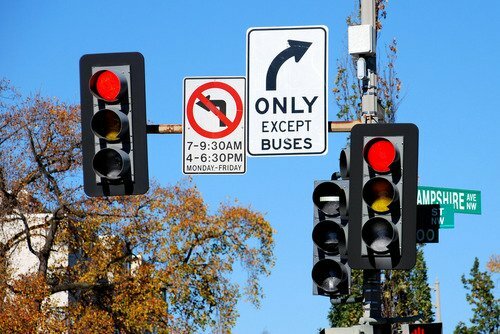 By installing new “bus only” traffic signals, buses will have their own dedicated time to jump ahead of traffic at busy intersections. This means no more getting stuck behind other vehicles that could delay your schedule. The new technology, called a “queue jump,” is part of a whole host of improvements throughout the city designed to provide faster, safer, and more reliable bus service. This is how the signal system works. When a Metrobus is stopped at an intersection, the new bus-only traffic signal displays a vertical bar while all other signals at the intersection are red, indicating only buses can proceed. After three seconds, a flashing triangle indicates that the priority signal for buses is about to end. Finally, a horizontal bar indicates that buses no longer have priority and must obey normal traffic signals. The following Metrobus routes travel through these intersections daily and are expected to benefit: S1, S2, S4, S9, 70, 79, 64, G8, D32, H1, H2, H3, H4, H8, W47. 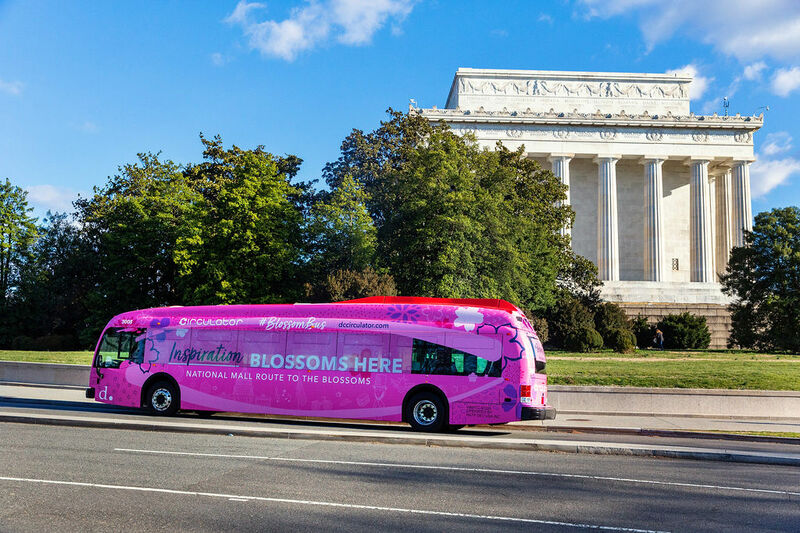 The metro DC area offers a robust network of local and regional bus options to get you to and around the city. Metrobus fares start at $2.00 and are paid with cash or SmarTrip® card upon boarding. Daily, weekly, and monthly discounted bus passes are available as well. To plan your trip, visit our bus resources page.